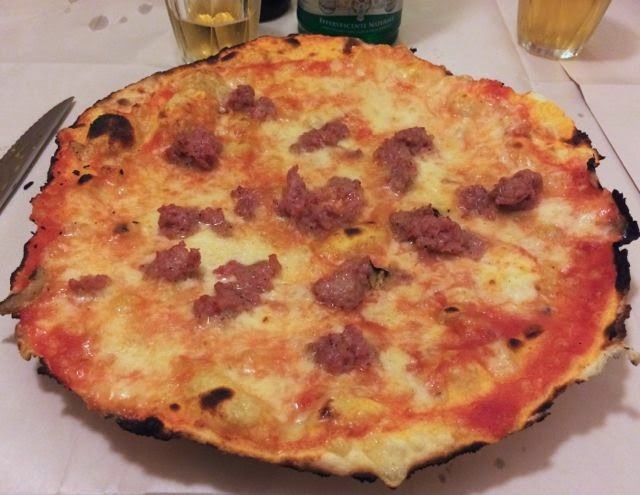 Da Remo in Testaccio is loud and full of young servers in white t-shirts and plenty of tattoos, This is traditional, Roman, old school pizza with cracker thin crusts and the best ordering system in town. Pizzeria ai Marmi is a Roman institution. It has it all; large boisterous crowds, gruff Roman service, old school neon signs and thin, crispy crusted wood oven cooked pizzas. The pizza crust at La Gatta Mangione is chewy, Neapolitan style and the toppings choices are creative. 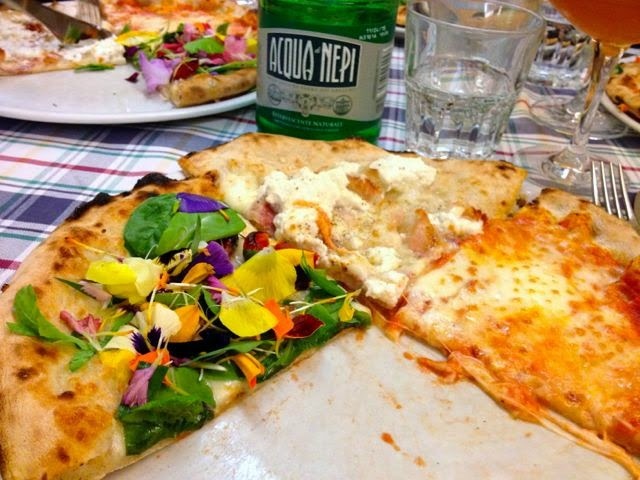 I love the pizza topped with edible flowers and usually also make sure to order one topped with crunchy guanciale and creamy ricotta.Save room for dessert. The American style portions of dark chocolate mousse and tiramisu are worth the space. The crust at Sforno has a long 72 hour rise and leans toward a Neapolitan style puffy crust, but without the soupy center. There are creative choices here, like cacio e pepe and the Greenwich topped with stilton.